I hate Microsoft Office. 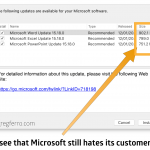 To further insult me Microsoft has a proprietary installer that is incapable of partial updates. How the heck does a 2.5 Gigabyte download make your customers happy ? Stuff you Microsoft Office. Go home. You’re Drunk. Brilliant. 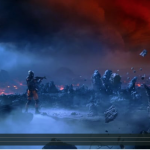 SciFi short on virtual reality. Totally got me into the story in less than 10 minutes. 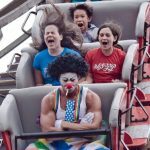 This picture resonates deeply. Source unknown. 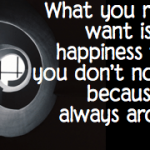 What you really want is the happiness that you don’t notice because its always around you. 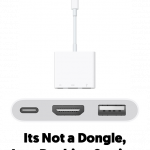 Many people look at the Apple USB-C port on the MacBook and howl for what is missing. I see the docking station accessory I have always wanted. I read this quote in a book: “It is never too late to be what you might have been. 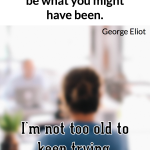 George Eliot” What came directly to my mind is “I’m not too older to keep trying to be what I might be”. 15 minute Sci-Fi short film. I was totally into it before the time ran out. Want more.